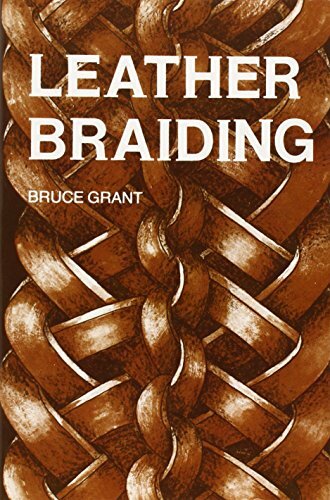 Leather Braiding has stood for more than forty years as the definitive book in its field. Grant's clearly written guide to the art of leather braiding contains detailed illustrations, step-by-step instructions, and a wealth of incidental, fascinating information. It makes accessible, to even the novice, serviceable and recreational uses of leather, from the simple but clever braided button to the elaborate results of thong appliquA (c). The book includes a historical perspective of leather and its function in society, a chapter on leather braiding tools, and a glossary of terms. Bruce Grant has been a film and theatre critic, foreign correspondent, public intellectual, academic, diplomat and government adviser, and is the author of ten works of non-fiction, six novels, essays and short stories. He was Australian High Commissioner to India (197376), Consultant to the federal Minister for Foreign Affairs and Trade, Gareth Evans (198891) a member of the councils of Monash and Deakin universities, chairman of the Australia-Indonesia Institute, Australian Dance Theatre, and the Victorian Premier's literary awards, and president of Melbourne's international film festival, and the Spoleto festival, which became Melbourne's international arts festival.